Wahama junior Logan Eades passes the ball during the second game of the Lady Falcons’ loss to Williamstown, in the opening round of the Class A Region IV, Section 1 tournament on Monday at Parkersburg Catholic High School. PARKERSBURG, W.Va. — By the time the Lady Falcons got their postseason legs under them, it was too little, too late. 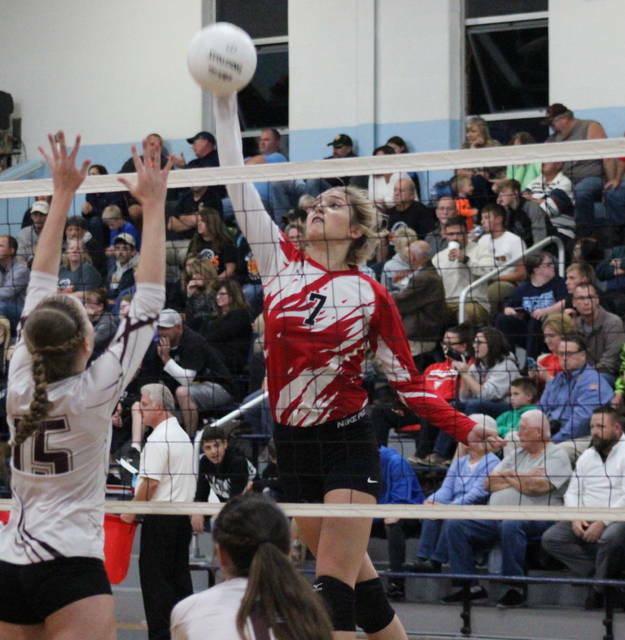 The sixth-seeded Wahama volleyball team couldn’t overcome a slow start in the opening round of the Class A Region IV, Section 1 tournament, falling in straight games to third-seeded Williamstown on Monday at Parkersburg Catholic High School. Williamstown (20-18-4) led wire-to-wire in both of the first two games, topping the Lady Falcons (5-21) by counts of 25-8 and 25-9. 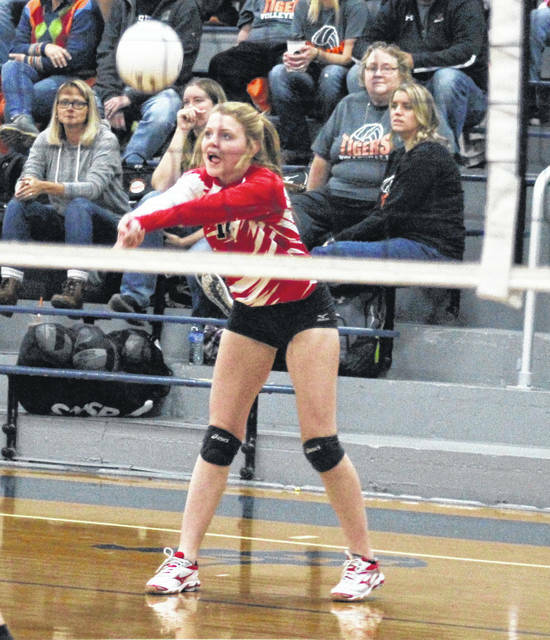 The Lady Falcons — who move on to an elimination game on Tuesday at PCHS — gained their first lead of the night at 14-13 in the third game, but the Lady Jackets regained the edge at 16-15 and extended their advantage to as many as five points, at 23-18. Wahama fought back to within two, but dropped back-to-back points, giving the Maroon and Gold a 25-21 win. 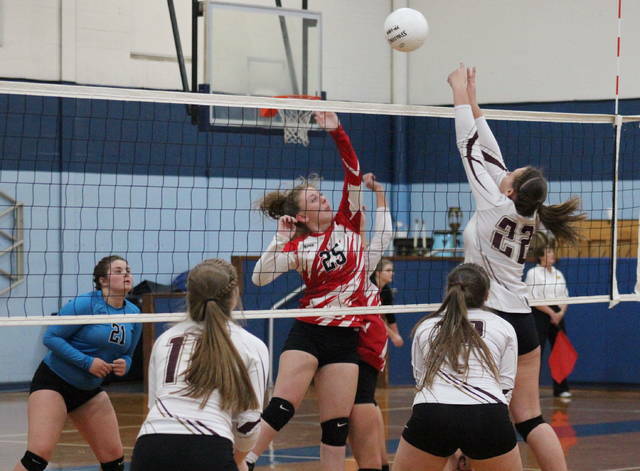 For the match, Williamstown held a 56.4-to-28.4 advantage in side-out percentage, while the Lady Falcons earned a 94.9-to-91.9 edge in serving percentage. 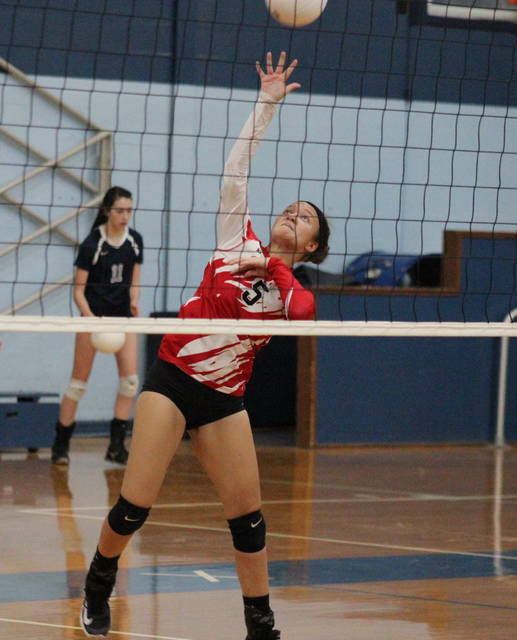 Wahama also earned a 32-to-27 advantage in digs, while committing eight hitting errors and just two serving errors. “Sometimes I think it’s just the thought of who we’re playing,” Coach VanMeter said. “You play Williamstown, Wirt County, the bigger teams, and that gets in your head before you actually get to the game. Sometimes girls have a tendency to beat themselves before the game even starts, and I think that happened a little bit. The Lady Falcons were led by Gracie VanMeter with nine service points, all coming in the final game. Harley Roush was next with four points and two aces, followed by Madison VanMeter and Logan Eades with two points each, including an ace by VanMeter. Madison VanMeter earned a team-best three kills, Emma Gibbs added one kill and one block, Elizabeth Mullins chipped in with two blocks, while Gracie VanMeter and Hannah Billups both collected one kill. Billups earned a team-high two assists, while Roush came up with a match-best 12 digs. Meghan Jefferson led the victors with 16 points, followed by Chloe Hooper with 10. Gracie Graham and Tori Tadlock each had nine service points, Skylar Watson added seven points, while Skyler Chancellor chipped in with two points. Bethany Arnold led the Maroon and Gold at the net with 15 kills, followed by Chancellor with 10 kills and one block. Tadlock recorded a match-best 24 assists, while Watson led the Williamstown on defense with seven digs.